Manufacturer of a wide range of products which include rack condensing unit, air cooled cold room condenser, condensing system, cold room condensing unit, condensing unit and cold room condensing system. As one of the leading entity in this domain, we are engrossed in providing supreme quality Rack Condensing System, an Advanced Refrigeration Technology. This rack condensing system is manufactured using quality stainless less grade 304 alloy. The outer and inner part of the rack system is manufactured using pre-coated GI. The provided rack system is manufactured using latest technology. Additionally, our provided rack condensing system is processed adhering to industry standards and quality norms. 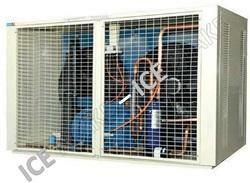 We are successfully ranked amongst the top notch entity offering a wide range of Cold Room Condensing Unit - Air Cooled. This condenser requires power in between 280V to 380V. The capacity of the offered condenser is 0.6kW to 178kW. In addition, the condenser uses copper pipes with aluminium fins for transferring heat. Besides, our professionals have manufactured the condenser adhering to industry quality standards to ensure optimum performance and safety. Since our commencement, our firm is engaged in introducing a premium quality array of Condensing System. This system is equipped with large size filter drier, moisture indicator, solenoid valve, oil separator and accumulator. 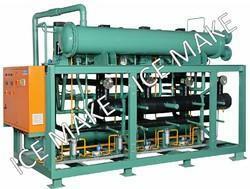 Such system is manufactured using shell type frame. Such shell and tube type condenser with high cooling and capacity aid in enhancing high ambient conditions. Further, the high and low pressure cut-out including mounting brackets and wired to terminal strip. 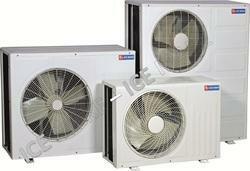 We are one of the leading manufacturer of Condensing Units. We are a leading manufacturer and exporter of Condensing Unit. 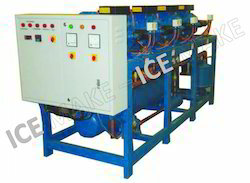 We are one of the noteworthy enterprises engaged in offering superior quality Condensing System (Air/Water Cooled). The offered unit is developed in accordance to industry norms and quality parameters. In the offered unit, all the components and materials used have been approved and certified by agencies. In addition, this unit can be built and developed according to the specification provided by the clients. Furthermore, our professionals opt for strict quality inspection made on the unit to ensure high performance. Since our beginning, we are engaged in presenting a wide range of excellent quality Rack Condensing System, an Advanced Refrigeration Technology. The offered system has fantastic cooling process that can freeze and chill the system. This newly designed latest rack system is loaded with OEM certified components and progressive technology. The provided rack system is also equipped with superb stability, power efficiency and high durability. Every direct rack system can be designed and produced according to clients specific requirements.